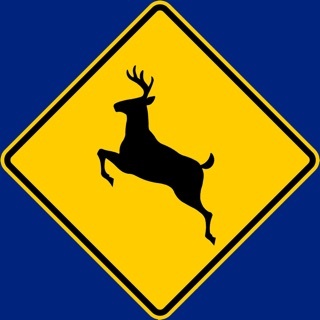 Welcome to B.C. 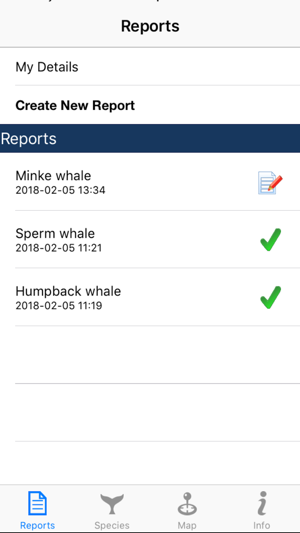 Cetacean Sightings Network’s WhaleReport app! 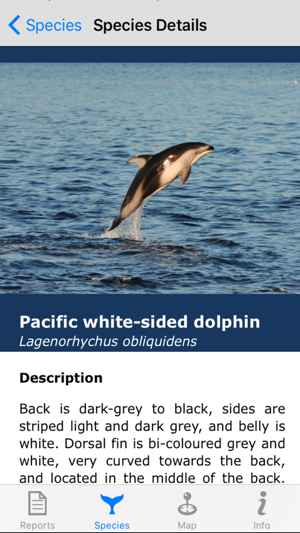 Help the Sightings Network gather data on the occurrence and distribution of cetaceans (whales, dolphins and porpoises) and sea turtles in B.C. waters. If you see a cetacean or sea turtle in B.C. 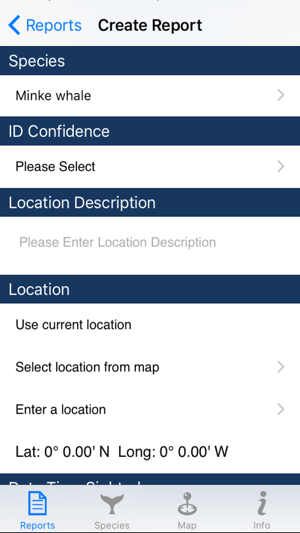 waters, use the WhaleReport App to report what you see and directly contribute to important conservation-based research. Once submitted, your sightings will appear on your personalized map in the ‘Map’ tab. Your report will be reviewed by the Sightings Network team and you may be contacted with follow-up questions. The Sightings Network appreciates your contributions and looks forward to receiving your sightings! The B.C. 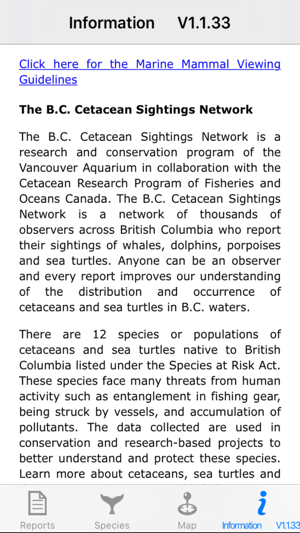 Cetacean Sightings Network is a research and conservation program of the Vancouver Aquarium in collaboration with the Cetacean Research Program of Fisheries and Oceans Canada. The Sightings Network is a network of thousands of observers across British Columbia who report their sightings of whales, dolphins, porpoises and sea turtles. Anyone can be an observer and every report improves our understanding of the distribution and occurrence of cetaceans and sea turtles in B.C. waters. There are 12 species or populations of cetaceans and sea turtles native to British Columbia listed under the Species at Risk Act. 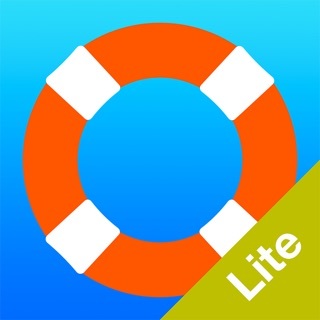 These species face many threats from human activity such as entanglement in fishing gear, disturbance by vessels, and accumulation of pollutants. 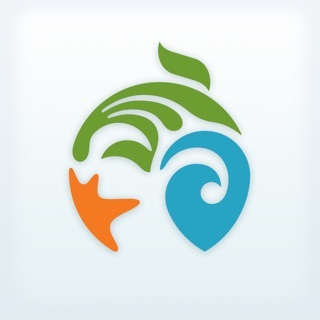 Learn more about cetaceans, sea turtles and their conservation at www.wildwhales.org. The data collected are used in conservation and research-based projects to better understand and protect cetacean and sea turtles in B.C. waters. Sightings are not made available to the public so as to avoid advertising cetacean and sea turtles hot spots, and contributing to vessel disturbance to cetaceans and sea turtles in these areas. Data can be requested for use in academic research, conservation assessment and planning, species recovery planning including critical habitat determination, and environmental impact assessment, evaluation and mitigation. 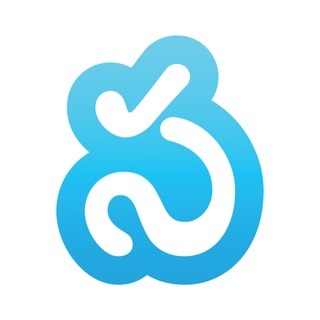 This app was made possible through the generous support of Mountain Equipment Co-op, BG Group, and the Government of Canada. This project was undertaken with the financial support of the Government of Canada provided through the Department of the Environment. 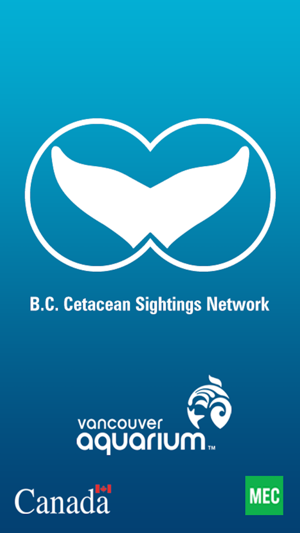 The British Columbia Cetacean Sightings Network is a collaboration between the Vancouver Aquarium and Fisheries and Oceans Canada. Minor bug fix to map issue.